A new road safety initiative has started in north east Scotland, aimed at supporting older drivers. Data obtained recently from the Driver and Vehicle Licensing Agency reveals there are over 75,000 people aged 65 years and over who hold a driving licence resident in north-east Scotland (Aberdeen, Aberdeenshire and Moray). With an aging population, this figure is expected to increase in future. Older drivers are sometimes subject to criticism about the manner of their driving, however, a 2010 RAC Foundation Report advised that ‘up to age 80, most older drivers appear to perform as well as middle-aged drivers’. It also stated that ‘after this age only a small minority of active older drivers, often travelling less than approximately 2,000 miles per year, are at an elevated risk on a per-mile basis’. The ‘Milestones’ initiative sees Road Safety North East Scotland (RSNES) teaming up with the Inverurie and District Driving Schools Association (IDDSA), to pilot a scheme which will see older drivers have their driving standard reviewed by an Approved Driving Instructor (ADI). ‘Milestones’ driving reviews will last for around one hour and be conducted using the reviewee’s own vehicle. Importantly, the reviews are neither a test nor an examination; they will simply provide an honest opinion on the standard of driving seen during the review. ADIs will provide a brief written report to each reviewee indicating the standard of their driving and, in appropriate cases, highlight any specific issues that it may be beneficial for the driver to focus on. As part of the review, drivers can also highlight any concerns they have about particular driving manoeuvres or situations which the ADI can provide advice about. 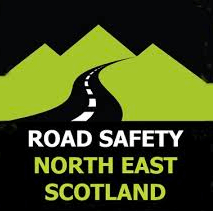 They will also be supplied with data about north-east collisions, including the main causal factors, as well as being provided with a booklet which provides guidance for older drivers. During the pilot period, between May and September 2018, IDDSA members have agreed to limit the cost of the initiative to £10 per reviewee. Partner organisations recognise the considerable value and benefit which many older people attach to being able to drive. In north-east communities, whether urban or rural, the ability to drive provides independence to access shopping facilities, health services or to participate in social activities. As we grow older, a number of issues can impact upon the standard of our driving. Physical ability, judgment and reaction skills, and general road awareness can all diminish over time, which may impact upon the safety of all road users. One vital aspect of our approach is the fact that the outcome of the review is entirely confidential between the reviewee and the ADI – no information about the review will be shared. We are also aware that family members can sometimes become concerned about elderly family members continuing to drive and hope that our approach provides a structure which can address these types of concerns. We are delighted to support this RSNES initiative and hope that our involvement will add value to local road safety efforts. On a daily basis, our instructors see many older people driving both safely and capably across north east Scotland; with many years of driving experience behind them, it is likely they have dealt with a wide range of driving situations, both proficiently and safely. Some of our members already provide guidance for older drivers, and the pilot ‘Milestones’ initiative will provide a formalised structure to deliver this important aspect of road safety. Our ADIs recognise that reviewees already have driving licences and the reviews will be conducted in a supportive and informal manner, providing guidance and advice when appropriate. We want reviews to be relevant to individual drivers, so if they have particular routes they regularly travel on, or road features they want to improve their negotiation of such as a new roundabout or junction, we will do our best to incorporate them as part of the review. Fundamentally, we want participants to feel that it was a worthwhile experience which they have benefitted from. ADIs know from years of driving instruction experience that you’re never too old to learn. As well as conducting the review, our ADIs will also be able to highlight some of the key issues which impact upon mature drivers, as well as providing information on factors that are linked to local collisions involving older drivers.